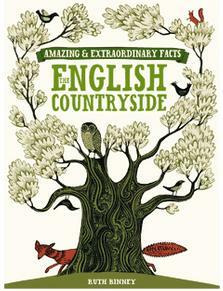 "Amazing & Extraordinary Facts about the English Countryside" explores the flora and fauna, customs and traditions that give the English countryside its unique charm and special identity. From the standing stones and carvings of our ancestors to the modern farming methods and woodland management of today, discover hundreds of fascinating facts about rural England. Brief, accessible and entertaining pieces on a wide variety of subjects makes it the perfect book to dip in to. The amazing and extraordinary facts series presents interesting, surprising and little-known facts and stories about a wide range of topics which are guaranteed to inform, absorb and entertain in equal measure.